As part of “Maharana Pratap’s 475th Birth Anniversary Commemoration”, the Ministry of Culture, Government of India along with Nehru Memorial Museum and Library (NMML), New Delhi and University of Rajasthan, Jaipur are organizing a Special Lecture and a National Conference at University of Rajasthan Campus, Jaipur on Friday, 4th March 2016. Prof. Ghanshyam Lal Devra, former Vice Chancellor of Vardhman Mahaveer Open University, Kota will deliver the Special Lecture on the topic ‘Construction of “Mewar Legacy”: Maharana Pratap’s Conflict against the Mughals’. The Special Lecture will be followed by a Conference on “Maharana Pratap and His Times”. 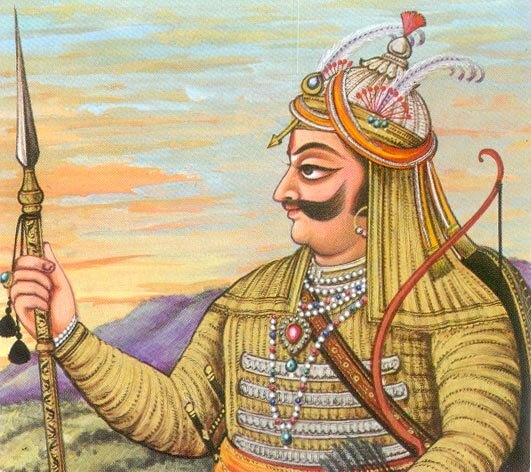 The day-long conference on ‘Maharana Pratap and His Times’ will explore the historical and cultural context of the life, work and legacy of Maharana Pratap. Scholars drawing on a variety of historical sources, Persian literary writings, epigraphic evidences, vernacular literary traditions as well as archaeological heritage will add fresh insights to the contribution of Maharana Pratap and historical significance of his times. Shri J.P. Singhal, Vice Chancellor, University of Rajasthan, Jaipur will deliver the Inaugural Address. Shri Sanjiv Mittal, Director, NMML and Joint Secretary, Ministry of Culture will preside over the function. Eminent scholars including Prof. V.K. Vashistha, Prof. K.S. Gupta, Prof. B.L. Badhani, Dr. M.S. Ranawat and Dr. Hukum Singh Bhati, etc. will present their papers in various sessions of the Conference, which will be followed by discussion.